U.S. Cycling All Star Greg LeMond posted this to his Facebook timeline in thursday evening. Please pass it around or quote on your blog. 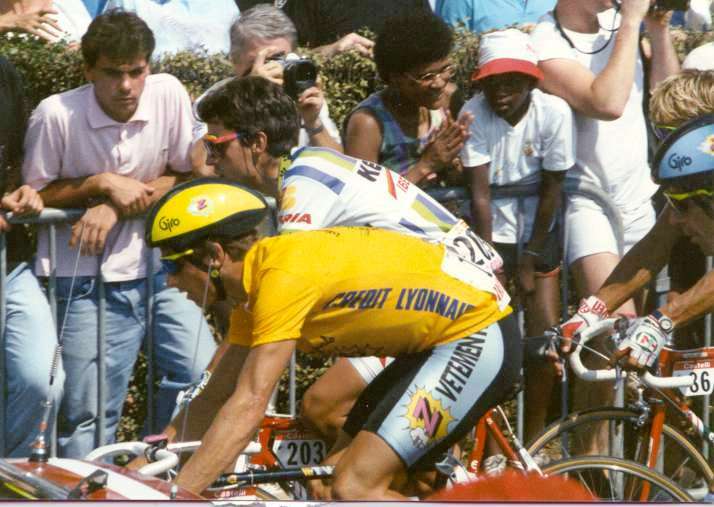 I have a file with what I believe is well documented proof that will exonerate Paul [Kimmage]. Pat in my opinion you and Hein [Verbrueggen] are the corrupt part of the sport. I do not want to include everyone at the UCI because I believe that there are many, maybe most that work at the UCI that are dedicated to cycling, they do it out of the love of the sport, but you and your buddy Hein have destroyed the sport. As a reminder I just want to point out that recently you accused me of being the cause of USADA's investigation against Lance Armstrong. Why would you be inclined to go straight to me as the "cause"? Why shoot the messenger every time? You can read all about Webster's definition of corruption. If you want I can re-post my attorney's response to your letter where you threaten to sue me for calling the UCI corrupt. FYI I want to officially reiterate to you and Hein that in my opinion the two of your represent the essence of corruption. People that really care about cycling have the power to change cycling- change it now by voicing your thought and donating money towards Paul Kimmage's defense, (Paul, I want to encourage you to not spend the money that has been donated to your defense fund on defending yourself in Switzerland. In my case, a USA citizen, I could care less if I lost the UCI's bogus lawsuit. Use the money to lobby for real change).